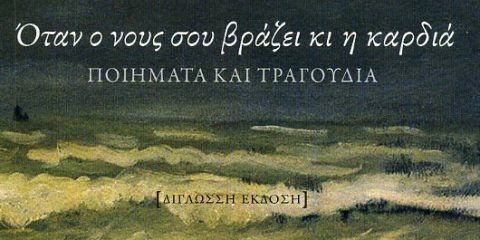 The “Murderess” is one of the most popular Greek Short stories by one of the most popular Greek writers, Alexandros Papadiamantis. His story centers around a peasant woman at his native island of Skiathos at the turn of the century. She believes that daughters are a curse and a burden to their parents, because they have to give them substantial dowries in order to find a good husband, plus a handsome amount of money. So in order to relieve the pain of the situation she goes around the houses of people with daughters, preferably infants, and kills them. She believes that she is doing a service to the community, and therefore her actions are justified in the eyes of God. The plot may seem naive, but Papadiamantis cuts deep into the psyche of his heroine revealing to the reader the innermost thoughts and conflicting feelings of guilt and remorse of Frangoyiannou, till the moment that she finally finds death ,which she secretly craved, by drowning into the sea, moments before she manages to approach to the monastery where she hoped she would find forgiveness, and a sanctuary away from the police that pursues her. One would think that it is an easy task to make an opera out of it, but this is not the case. The first great obstacle the librettist has to come to terms with is the peculiarity of Papadiamantis’s language. Giannis Svolos, (a fellow Music critic) took over the task for the new opera by the celebrated Greek composer Nikos Koumentakis. He very wisely approached this task by keeping in faith with the original text of the story. The book contains a lot of dialogue, therefore he found solid ground to move about. His libretto displayed a good knowledge of the text and its peculiarities, and managed to create a theatrical text which could be set to music without destroying the very fabric of the plot. 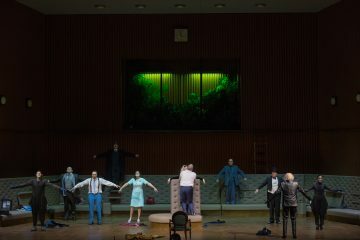 Nikos Koumentakis’s opus, was closer to a scenic Cantata than an opera. Long Orchestral chunks where inserted between the spoken dialogues with very few arias, and substantial Choral parts. In my opinion he should have written a Cantata for solo voice Orchestra and Chorus rather than an Opera. 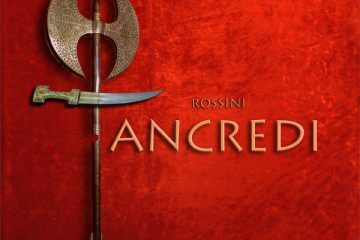 However the music was very atmospheric, especially the choral parts which I think were the best moments of the score. One could sense the influence of Janacek, Dessau, and Berg, but these were just paintbrushes in a very interesting musical canvas spreading at over two hours. Alexandros Efklidis created a clever set, that changed around a moving round stage allowing him to denote the change into various locations. The whole thing reminded one more of a Mise en Espace rather than an Opera set. The movement was minimal anyway so no harm done. The costumes of P.Touloudis and I.Forti were uninteresting, but the lighting of the stage by Vinicio Cheli added to the atmosphere. 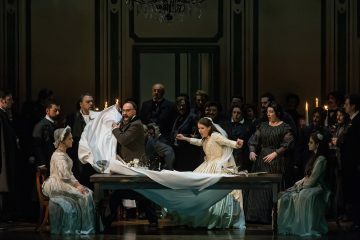 What I missed, (both in the music and the staging), was the relentless energy of movement and growing angst which is the driving force of the book, actually what characterizes the Heroine and her actions. The singers all of them, did more than justice to the opera. 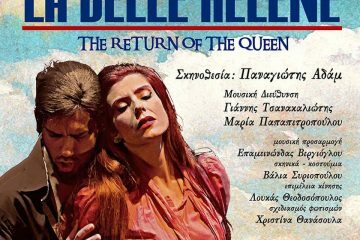 Julia Souglakou, who we miss on the stage of the Greek National Opera, sung her heart out. 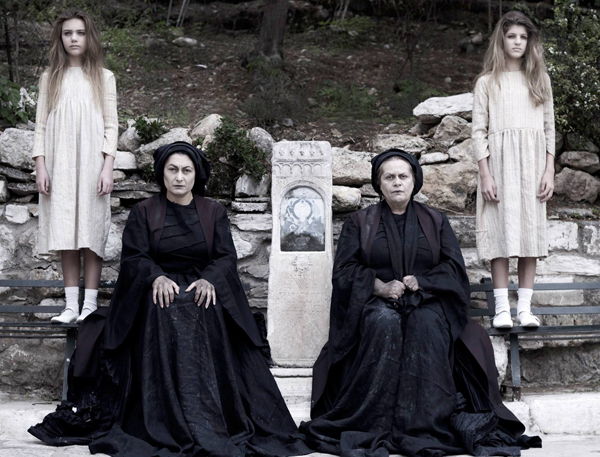 She managed to convey a truthful character underlying all the emotional aspects of Frangoyannou. It was her personal triumph. The same goes for all the other main and smaller parts, with special mention to the excellent singing of Marina Fideli, Nikos Karagiaouris who sung in ringing voice the part of Konstantis, and finally Tassos Apostolou who sung wonderfully the final aria of Ioassaf the old monk. Special mention must be made to the wonderful work Mata Katsouli has done with the children’s chorus (herself an accomplished soprano), and the Chorus of the Greek National Opera under the inspiring direction of A.Georgakatos. The Orchestra was conducted under the inspiring barton of Vassilis Christopoulos. something one hopes will give the opportunity to other Greek composers to show their work.